A slump in stocks slowed on Thursday, partly thanks to tame U.S. inflation data. American equity valuations are high, trade tensions and interest rates are rising, and earnings season is under way. Six months of steady tech-led gains may be giving way to the facts on the ground. The S&P 500 Index was down 1 percent by 2:10 p.m. EDT on Oct. 11. The U.S. stock-market benchmark closed 3.3 percent lower the previous day and Asian markets followed suit, with Hong Kong’s Hang Seng index and Japan’s Topix off 3.5 percent on Oct. 11. 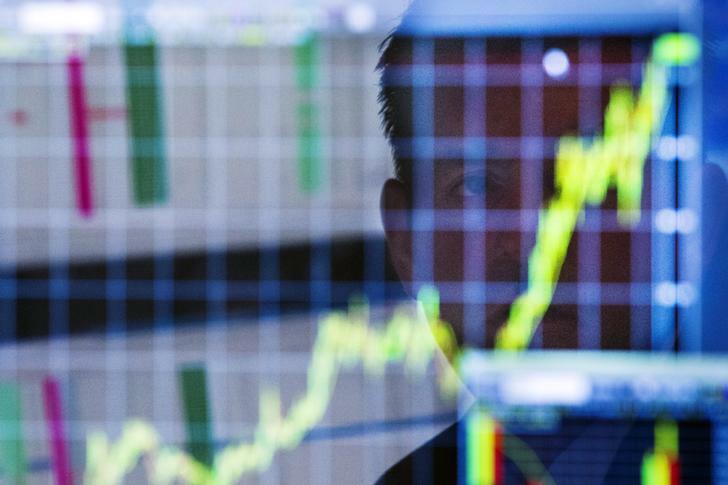 European markets also dipped on Oct. 11, steadying somewhat after U.S. trading began. The UK’s FTSE 100 Index ended down 1.9 percent and the Stoxx Europe 600 was off 2 percent for the day. U.S. Treasury yields fell to one-week lows on Oct. 11, sliding for a second straight session amid the selloff in global stocks. A weaker-than-expected rise in U.S. inflation for last month added to the bullish tone for Treasuries. The consumer price index rose 2.3 percent in the year to September, while the core CPI, which excludes food and energy, gained 2.2 percent, the Bureau of Labor Statistics said.